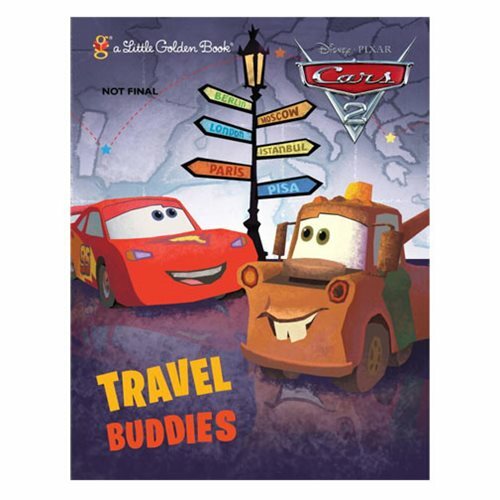 Lightning McQueen and Mater travel to all four corners of the globe in the Disney/Pixar Cars Travel Buddies Little Golden Book featuring your favorite characters from Disney/Pixar Cars 2. It's a must-have for children ages 2-5! The 24 page book measures about 8-inches tall x 6 4/5-inches wide.